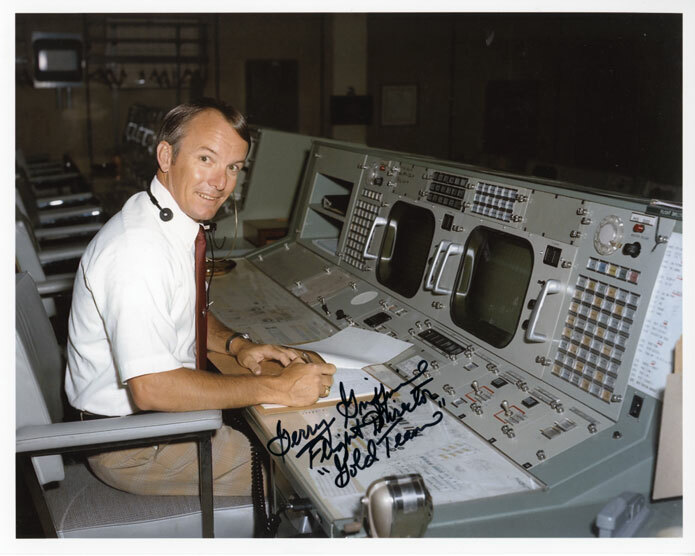 Farthest Reaches is honored to be working with former NASA Flight Director Gerry Griffin. Gerry first joined NASA in 1964 as a Project Gemini Flight Controller, specializing in guidance and navigation systems. In 1968, he became a Flight Director and served in that role for Apollo 7 through Apollo 17. Gerry led his "Gold Team" of flight controllers as they played an important role in the resolution of the Apollo 13 crisis. For those extraordinary efforts he was awarded the prestigious Presidential Medal of Freedom as a member of the Apollo 13 Mission Operations Team. 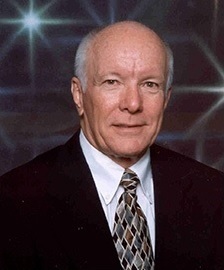 From August 1982 until January 1986, Griffin served as Director of the Johnson Space Center in Houston, Texas. Griffin provided his expertise as a technical adviser for the films Apollo 13, Contact (also in front of the camera portraying a mission controller), Deep Impact (in front of the camera again as a flight controller) and Apollo 18. In the HBO mini series From the Earth to the Moon, he was portrayed by actor David Clyde Carr. After retiring from NASA Gerry assumed the role of senior executive in the private sector with several companies and organizations. Today Gerry is a technical and management consultant for a broad range of clients. He is an active general aviation pilot/aircraft owner with a commercial license and instrument rating for single engine aircraft, multi-engine aircraft and helicopters. 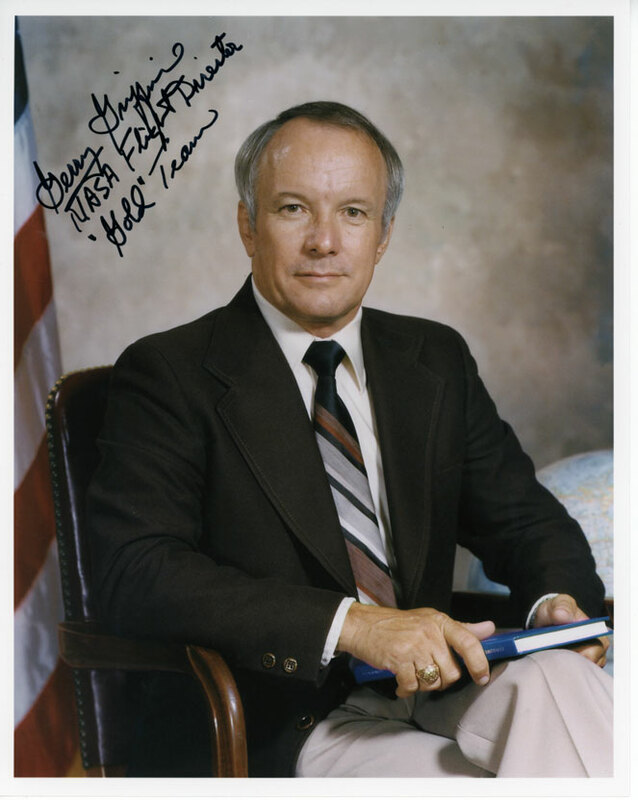 Offered here Gerry Griffin's classic NASA portrait. 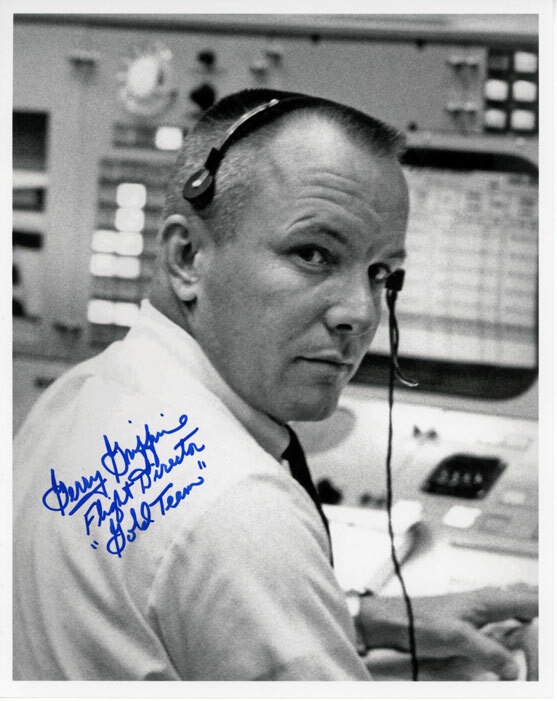 Gerry hand signed boldly in black sharpie and adds, "Flight Director, Gold Team". Measures 8x10 and is in pristine condition. Awesome color image of Griffin at the console beautifully hand signed in bold black sharpie. I LOVE the tech in this one. Gerry adds, "Flight Director, Gold Team'. Measures 8x10 and is in pristine condition. Very nice ! Another great image of Gerry Griffin that also provides a glimpse of what was considered at that time to be state of the art technology in Mission Control. Boldly signed in blue sharpie with "Flight Director, Gold Team" added. Measures 8x10. Outstanding portrait of Gerry Griffin at work in the MCC. Boldly signed in blue sharpie with "Flight Director, Gold Team" added. Measures 8x10. Gerry Griffin at work in the MCC during Apollo 15 EVA #3 (which can be seen in progress on the big screen). 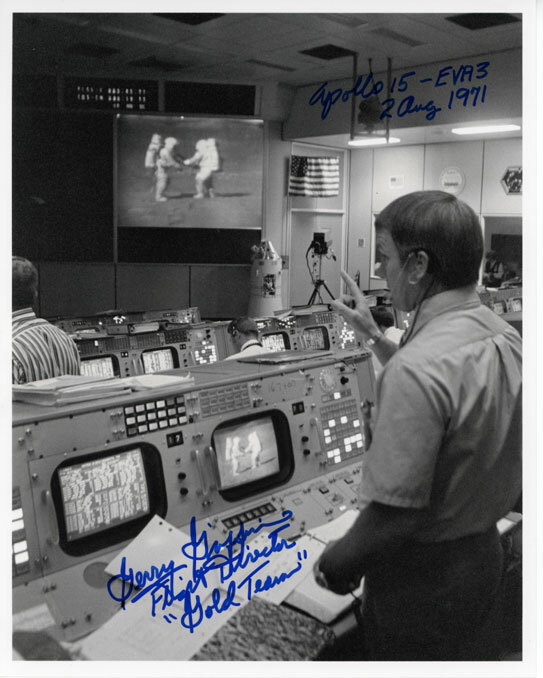 Griffin inscribes accordingly, "Apollo 15, EVA 3... 2 Aug. 1971". 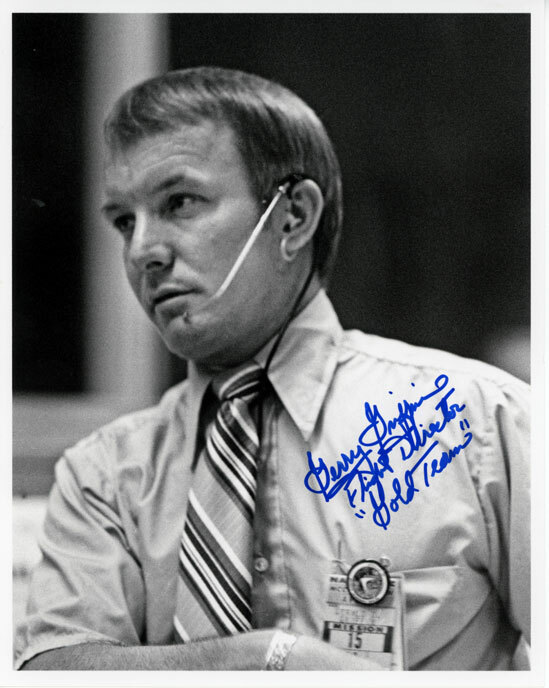 This one is also boldly signed in blue sharpie with "Flight Director, Gold Team" added. Measures 8x10. Outstanding image of Gerry Griffin at work in the MCC. Boldly signed in blue sharpie with "Flight Director, Gold Team" added. Measures 8x10.